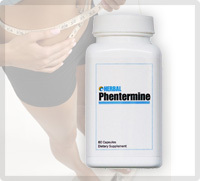 Phentermine is a powerful anorectic drug which makes you lose weight through drastically suppressing your appetite and boosting your metabolism to burn unused fat deposits in your body. Paired with a balance healthy diet and some mild exercise, a month of Phentermine use can effectively make you lose a lot of weight fast and safely. Unlike most diet pills in the market, rest assured that since it is a prescription diet pill, it has been tested and proven to produce positive results by doctors worldwide. The main reason behind Phentermine’s need for a prescription is because of its composition. Since Phentermine is a stimulant similar to Amphetamine, abusing it may increase the chances of addiction or may even lead to fatality. For this reason doctors control its distribution and prescribe a specific dosage for those who are targeting weight loss. Fast weight loss results of up to 16 lbs—meaning you get to lose a minimum of 4 lbs a week! Provided that you simultaneously use the pills with a balanced diet and a regular exercise routine and continue to do so after your prescription, you could keep off the weight or maintain your desired weight target. With some over the counter medication and enough preparation, you could counter or minimize these effects. For example, avoid drinks that contain caffeine to decrease the chance of insomnia. You could also take Phentermine at least 8 hours before your normal sleeping time to avoid aggravating your hyperactivity during the night. Phentermine – How much does it cost? 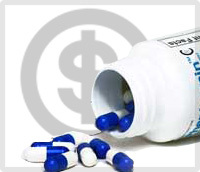 Since Phentermine is really effective for weight loss and is FDA-approved, expect that it doesn’t come very cheap. Aside from the actual cost of purchasing the pills, you would be required to head to a doctor to see if you are eligible for Phentermine use, which means you would be paying a consultation fee. Prices start at an average of $80 per bottle for a month’s supply. While 120-days supplies can cost more, around $400. The availability of the drug would also vary, depending on the strength of the pill—the denomination can range from 15 mg to 37.5 mg pills. The stronger the pill, the more expensive it might get. You could choose the lowest dosage to begin with. Phentermine – Is it for you? Phentermine is right for you if you have been diagnosed as obese or overweight. This is provided that you do not have any other existing health conditions such as heart disease, diabetes or hormonal imbalance. Should you have no alternatives to choose from, seek your doctor’s medical advice regarding any complications with your current health condition or medication. Pregnant women are also advised to do the same, as there are no solid studies to conclude that Phentermine is safe to use while conceiving. While Phentermine is very effective, it has some side effects which can be uncomfortable for many. 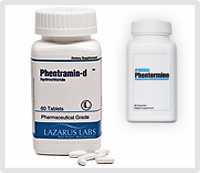 For those who are looking for a substitute diet supplement, Phentramin-D is the leading brand alternative for Phentermine as it has fewer harmful side effects but is just as successful in delivering weight loss results. 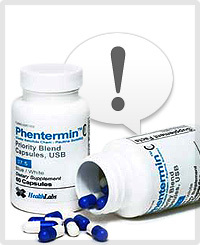 As an added bonus, Phentramin-D is non-prescription, so obtaining it is easier and more convenient online. 2 Comments - why not join the conversation? I wish phentermine was for everyone who wants to lose weight, even if they don’t have to. I’m 5’7, 150lb and I want to get down to 120lb, but I can’t because I find it too hard to resist junk food. i just started today and feel with alot of energy thirsty and a bit nausea i do need it for weightloss i weigh 197 but i will keep u posted in two weeks see how i feel and if i loose weight how much i am at.